Hello nana-versal citizens! Heating summer’s up and we’re expecting cooler fall to arrive. By the way, are you making the most out of nana? 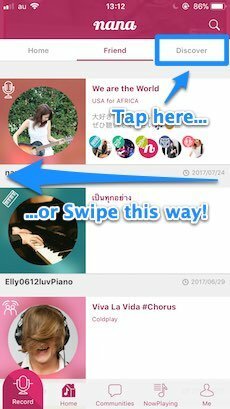 It’s all about discovering lots of stuffs on our platform to share your sounds and making connections. 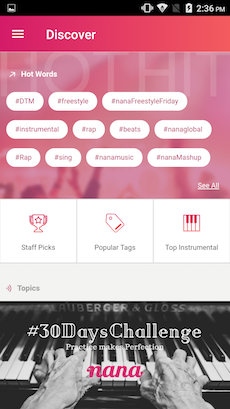 Today, we will be showing you how to find more topics and interesting contents on nana! 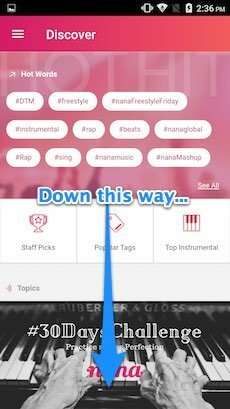 nana has a page called Discover to take you around to more contents on nana. At first view on the top, you see a list of Hot Words to show you the words included in captions. Tap on See All to find more! 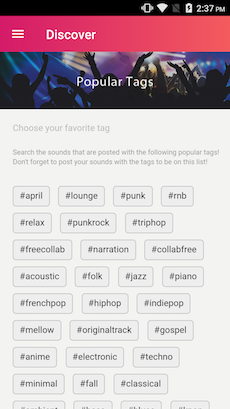 Below the Hot Words, you will find 3 buttons of Staff Picks, Popular Tags and Top Instrumental. On Staff Picks, the selected sound of the week picked by our team is listed. It is renewed every Thursday (in JST), so keep checking it! 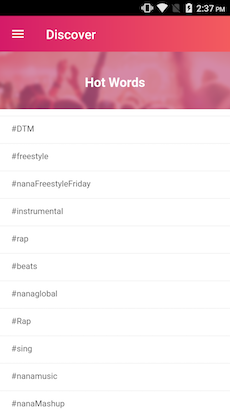 Next on Popular Tags, you can find the list of hashtags that are being used frequently on nana. Look for the ones that matches your track! 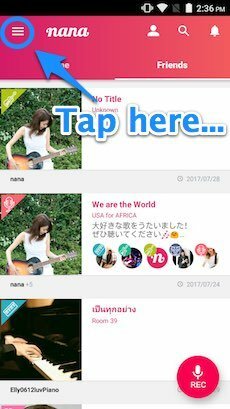 On Top Instrumental, you can look for the instrumental tracks posted by other nana users based on artists you like! 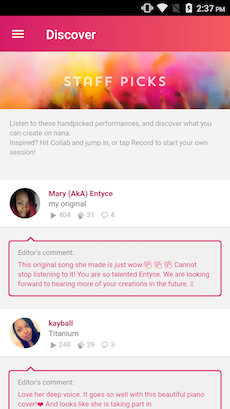 This list is updated on regular basis, so look for the artist name, and start collaborating! From top screen, tap the menu bar on top-left. 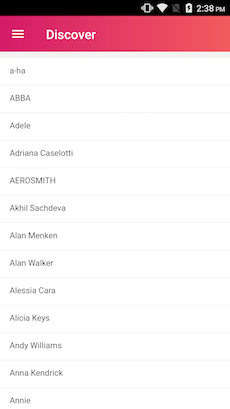 There you will find “Discover” button at the bottom of the list. 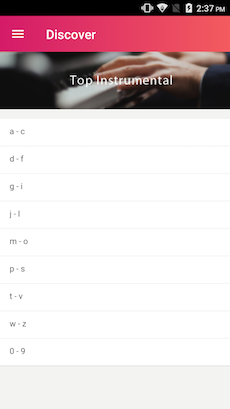 From “Home” tab at the bottom, slide the screen from right to left, or tap on “Discover” on upper tabs. Find out our latest contents! 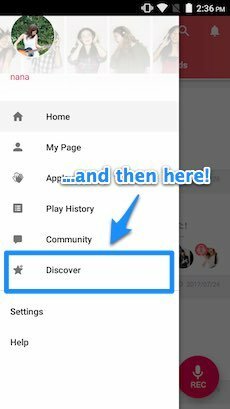 Apart from “Discover” on the app, we have our official blog updating weekly, as well as Facebook and Instagram account with new contents uploaded in regular basis. Like it, follow it, and get our latest news! For more infos, see our FAQ for answers to the most common questions. 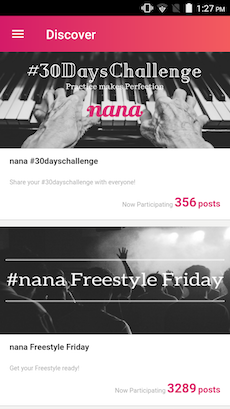 nana Official http://nana-music.com/users/51608/ Official blog account for music social app, "nana"
Share your #30dayschallenge with everyone! This song suggested by my cousin sis so for that reason I posted here on Nana & yaa I loved the lyrics of this song so I posted this one here. I think a lot of people can relate to this song. I wrote it for everyone. Express yourself with music and be connected! ©2019 nana music, Inc. All rights reserved.